Shortly after the start of the annual Congressional Baseball Game at Nationals Park, Shirley Thompson headed for her seat. She lives in the neighborhood, but Thursday was her first time coming to a game. She wore a baseball cap with pictures of Martin Luther King Jr., Malcolm X and Barack Obama for the occasion. “I just thought I’d represent since I’m going to sit on the Democratic side,” she said. “One Family!” proclaimed one handmade red, white and blue sign in the crowd. “SCALISE STRONG” radiated from the Jumbotron, and chants of “USA! USA! USA!” rippled through the stadium. Players from both teams, Democrats and Republicans, huddled in the infield before the game to pray for their fallen colleagues, their country and possibly each other. A day after the shooting at the Republican baseball practice that wounded five, including House Majority Whip Steve Scalise (R-Louisiana), the partisan lawmakers were determined to show unity. Scalise remains hospitalized in critical condition. 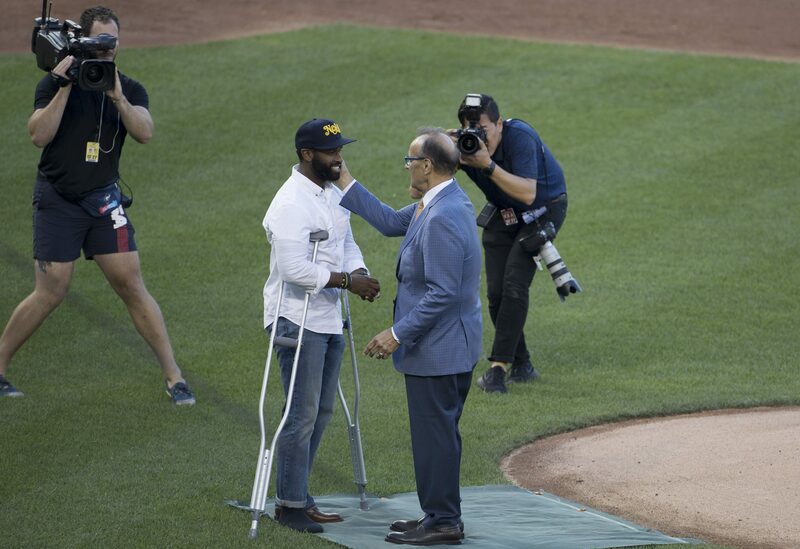 U.S. Capitol Police special agent David Bailey (L), who was injured during the shooting at the practice field the day before, threw the first pitch before the Congressional Baseball Game for Charity at the National Park. The game goes on as scheduled after House Majority Whip Rep. Steve Scalise (R-LA) was shot during a practice the day before. An unexpected appearance by Capitol Police officer David Bailey — who, along with officer Crystal Griner, is credited with preventing a potential massacre — sent the crowd into sustained roars as he limped to the mound and threw out the first pitch. Bailey is a North Carolina Central University graduate. Griner was still in the hospital Thursday and could not attend. After a message from President Donald Trump, which was met with just a few boos, it was time to play ball. The charity game has been played off and on since 1909, and the record was tied at 39 wins apiece. It benefits the Boys & Girls Clubs of Greater Washington, the Washington Nationals Dream Foundation and the Washington Literacy Center, with the Fallen Officers Fund added after Wednesday’s shooting. It usually draws about 10,000 fans, but a record 25,000 tickets had been sold for this game, raising nearly $1 million. 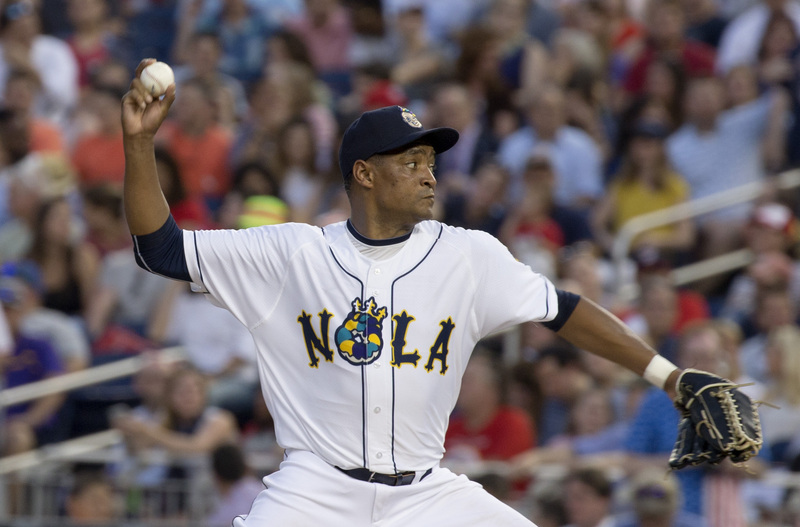 The Democrats’ star pitcher, Cedric Richmond (D-Louisiana), wearing a Triple-A New Orleans Baby Cakes jersey, took the mound and walked the first batter. Then a few balls got past the catcher and the Republicans took an early 2-0 lead. Along the first-base line, Republican fans waved hand fans featuring the face of Sen. Jeff Flake (R-Arizona), who ran to Scalise’s aid after the shooting. Rep. Roger Williams (R-Texas), who’d been injured scrambling for safety in the shooting, coached third base on crutches. Richmond, chairman of the Congressional Black Caucus, had been late to a news conference earlier in the day after visiting Scalise at the hospital. He’d visited the hospital three times since the shooting, and Scalise had been in surgery each time. The two have been friends since serving in the Louisiana Legislature together starting in 2000. “Out of everything we bantered back and forth about, the baseball game is probably the biggest,” Richmond said, before predicting a competitive contest. Congressman Cedric Richmond (D-LA) pitch’s in the Congressional Baseball Game for Charity at the National Park as scheduled after House Majority Whip Rep. Steve Scalise (R-LA) was shot during a practice the day before. After a few innings, Richmond’s curveball started to work and he began striking batters out. The Democrats were already up by one in the bottom of the third when Rep. Tim Ryan (D-Ohio) doubled to left-center with the bases loaded. The Democrats scored four more runs that inning. 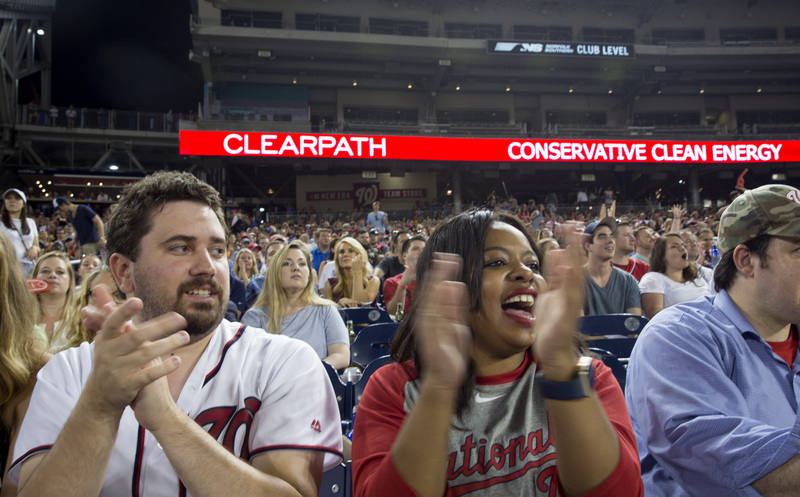 At one point, Sen. Rand Paul (R-Kentucky) caught up with a Richmond curveball, hitting it solidly to left-center for a base hit, and the Republican side of the field erupted in cheers and sign-waving. When Linda Sanchez (D-California) stepped up to the plate in the bottom of the fifth inning for the Democrats, the crowd jumped to its feet. She was walked, but later that inning Nanette Barragán (D-California) hit a single. They were the game’s only female players. By the top of the seventh and final inning, the score was 11-2 Democrats. After the game, all the players gathered on the field, shook hands and hugged. When the Roll Call Trophy was awarded, Democratic manager Rep. Mike Doyle (D-Pennsylvania) invited Republican manager Rep. Joe Barton (R-Texas) back onto the field and handed him the trophy. Matt Davison and Rachael Robertson enjoy the Congressional Baseball Game for Charity at the National Park. The game goes on as scheduled after House Majority Whip Rep. Steve Scalise (R-LA) was shot during a practice the day before. “We want to give you this trophy to put in Scalise’s office until he gets back on his feet,” Doyle said, and fans of both teams gave all the players a standing ovation. The crowd spilled from the stadium into the night with everyone seeming in high spirits. It’s too soon to tell if the love game was a one-off or had ushered in a new winning streak in Congress.